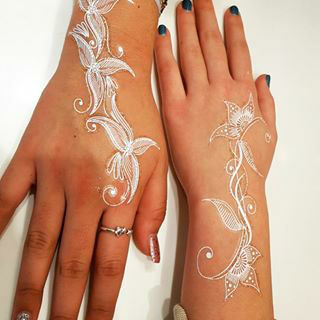 Pavan is an amazing henna artist who creates fantastic window displays. The window displays are using the techniques of henna to make designs with paints ranging in any colour. 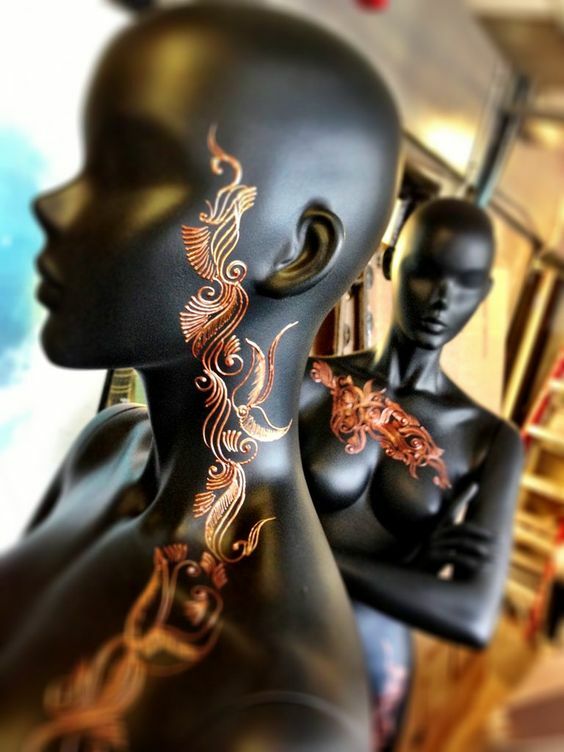 Antique gold, pearl paints and an array of different colours are used to adorn mannequins, windows and props to give a luxury feel to a display. Pavan is perfect if you are looking for unique event dressing for your corporate event or private party. Pavan is a Guinness World Record Holder for being the fastest in her trade. In just one hour she painted a staggering 511 armbands in February 2012 – where each design had to be different from the other – beating her own previous record of 314 armbands in 2008 by a mind-blowing 197 armbands. Pavan has worked with celebrities and recognised names like Selfridges, Harrods, Sky TV, and the BBC on various high-profile projects. 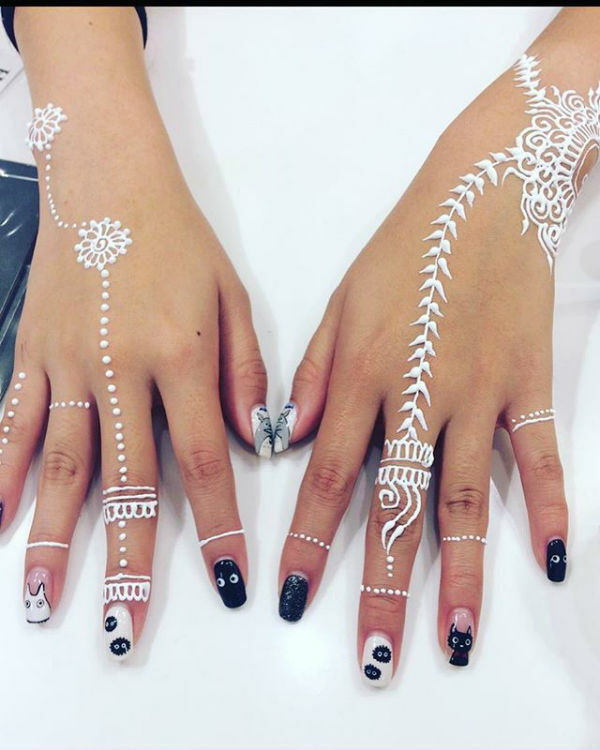 A self-taught henna artist, a massive part of Pavan’s appeal is that she not only keeps up to date with the latest design trends, she creates them. 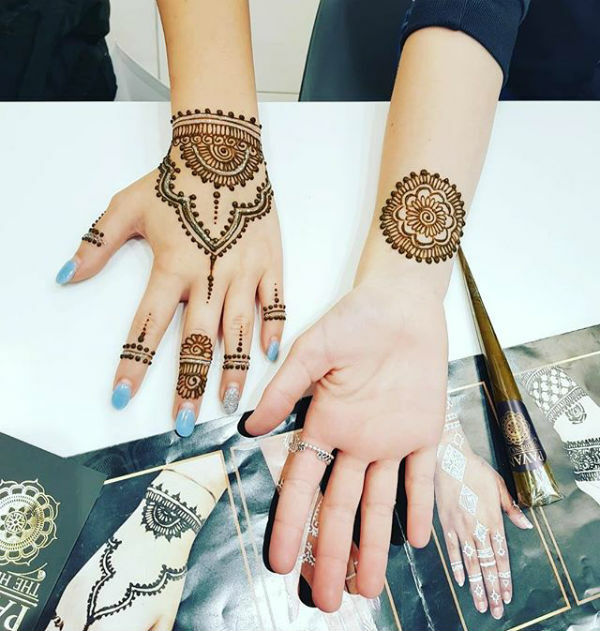 Incorporating details like glitter, diamante and even coloured body paint into her fusion of bespoke designs, she transforms her intricate patterns into breath-taking works of art, and it’s these unique facets of her work that she will capitalise on to garner greater exposure for henna design. 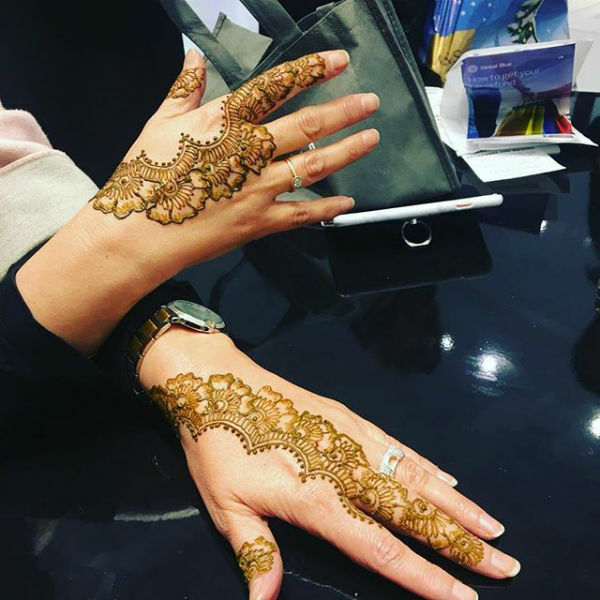 Immersing herself into the world of henna and design from the tender age of seven, she went professional five years ago and is now one of the leading henna artists in the UK. Bespoke designs and ideas can be planned and worked on by liaising with particular clients to create the desired look they need. 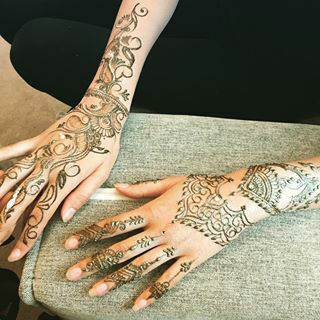 Pavan can be hire for up to a whole day.